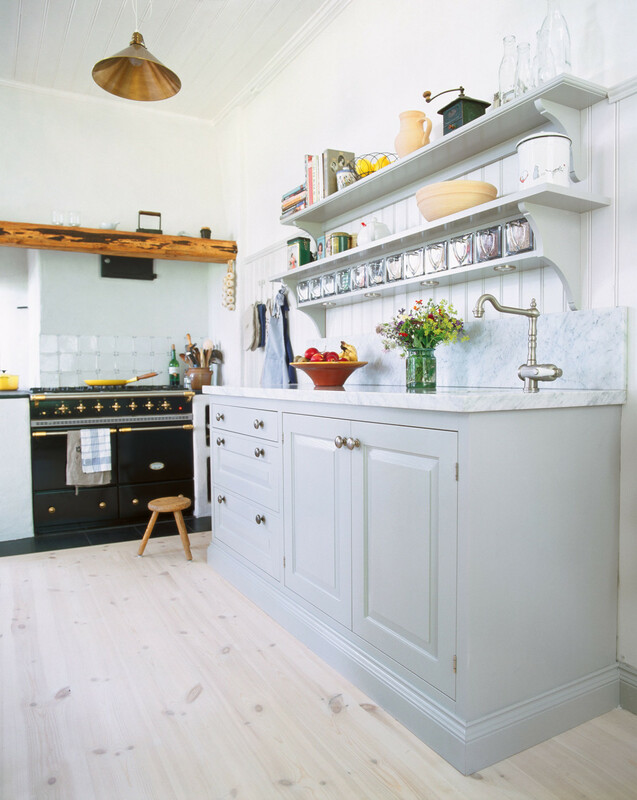 Simple, laid-back and elegant but definitely with that country twist is what we want in our new kitchen. 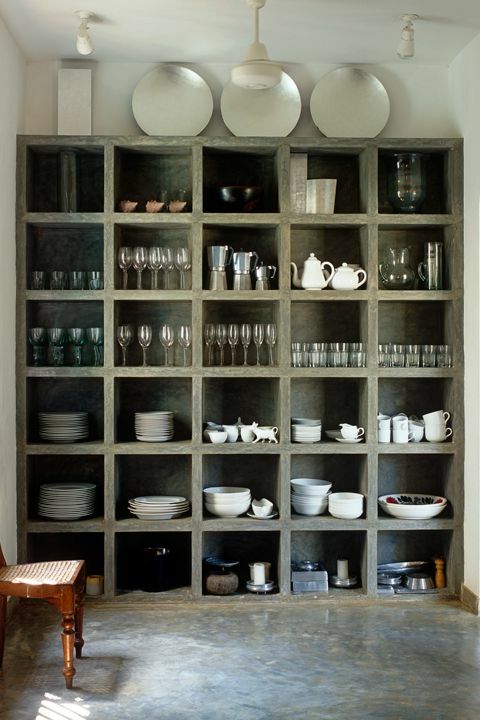 Open storage lika above is beautiful and practical for our kind of living on the country side. 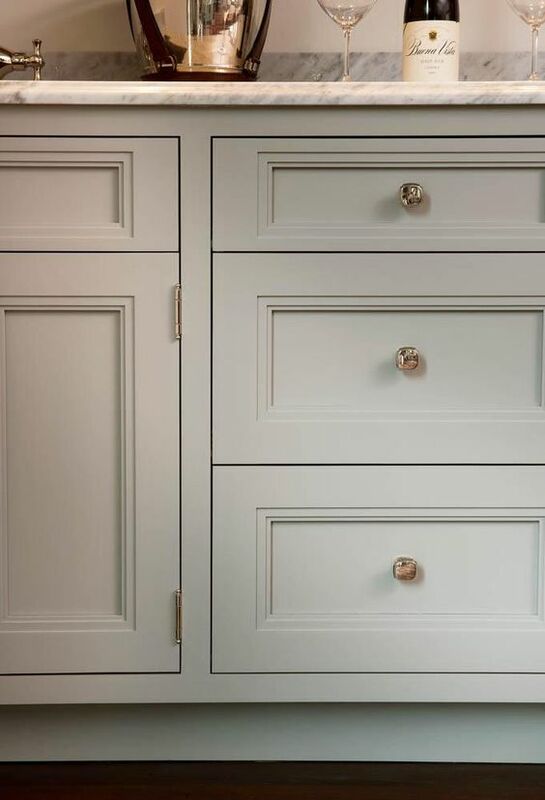 Door and drawers as styled above and Farrow & Ball’s wallpaper Blostma. 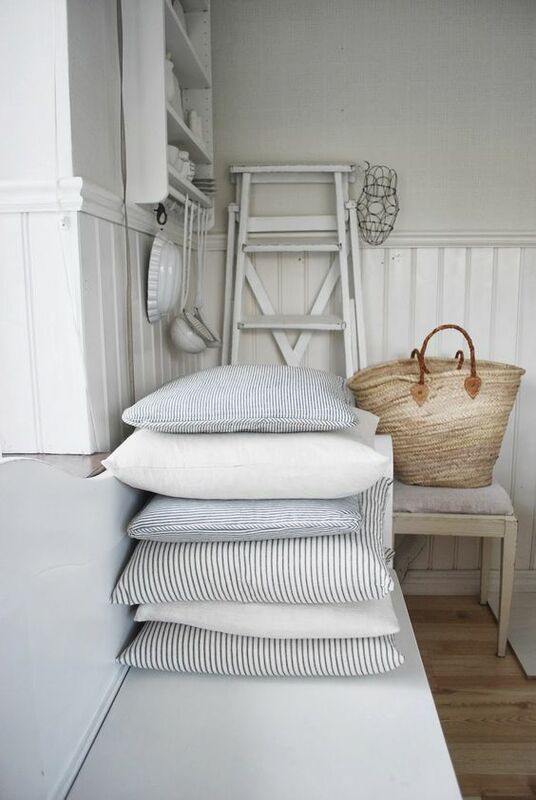 Checkered wood floors in grey & white. 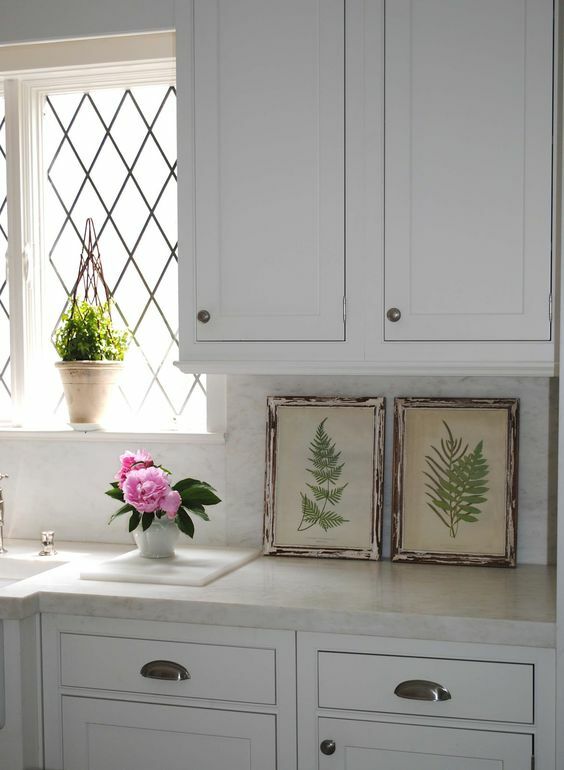 I’v been planning a new kitchen for our country place for some time now. Ever since we bought the place actually, and here are some of the ideas that have stayed with me for over three years. 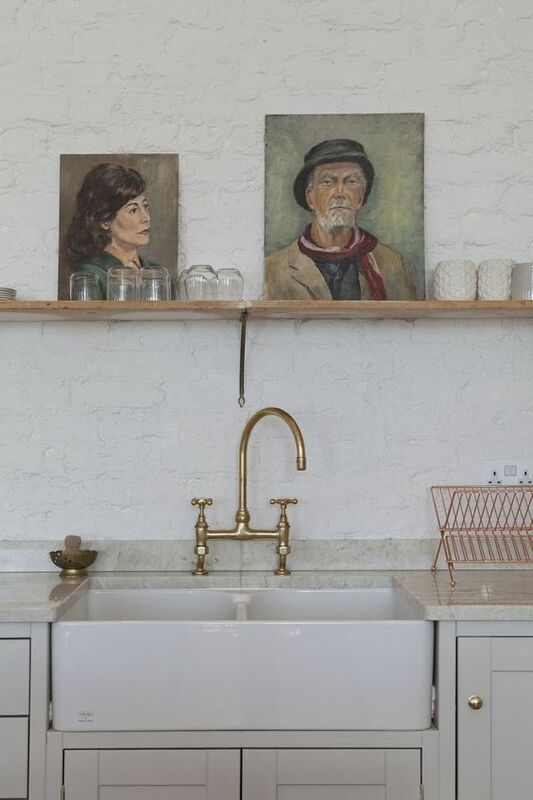 The first priority is changing the floor in the kitchen. 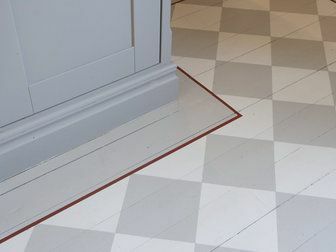 At the moment our floor is tiled and I find it really hard on the feet and legs. 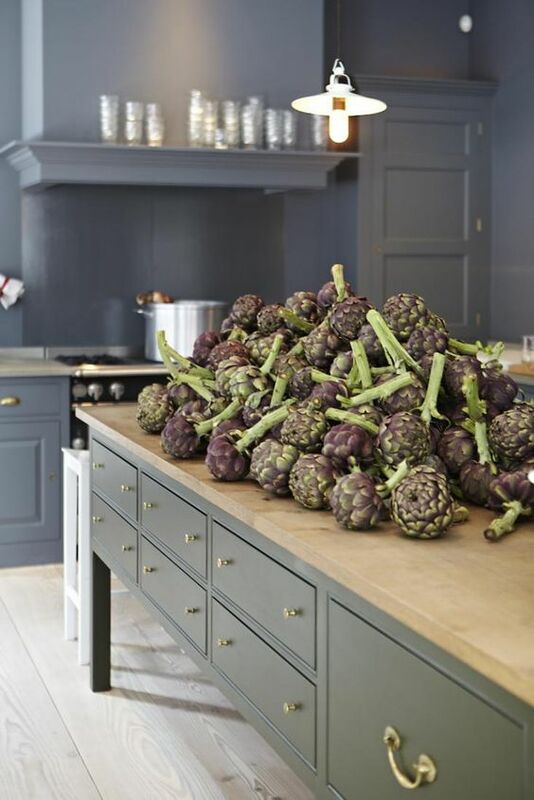 I love being in the kitchen which means I’m spending a LOT of time here, hence aching feet and legs. 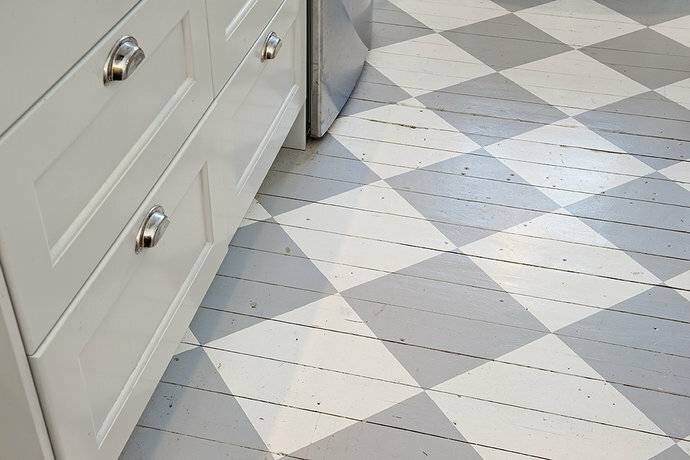 I love grey and white checkered floors for the kitchen, of wood of course, and this is the plan when we renovate. 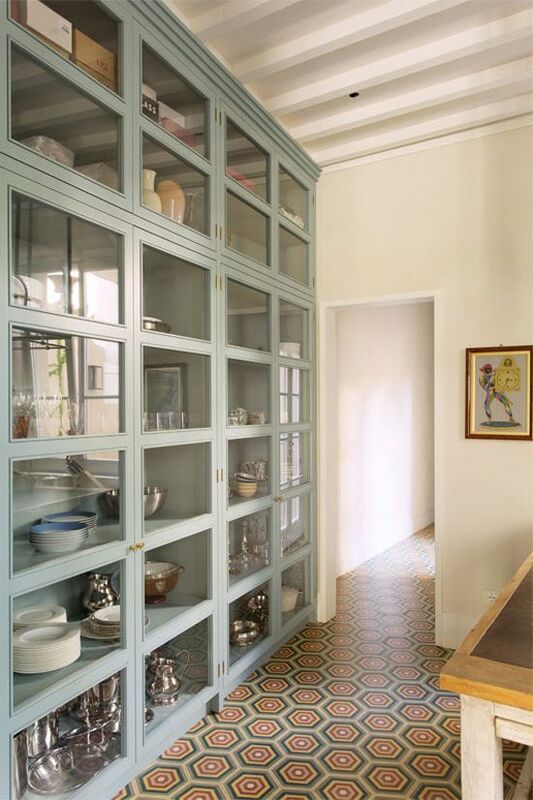 We want a lot of storage but without it getting too stuffy in the kitchen. This means drawers/doors underneath the workbench and only open shelves above. 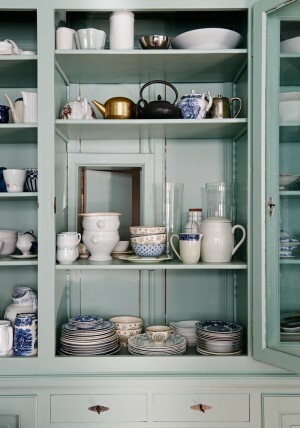 Somewhere we will try and fit a big cabinet with open shelving, here we can gather all our nice items that can bare the light of day. 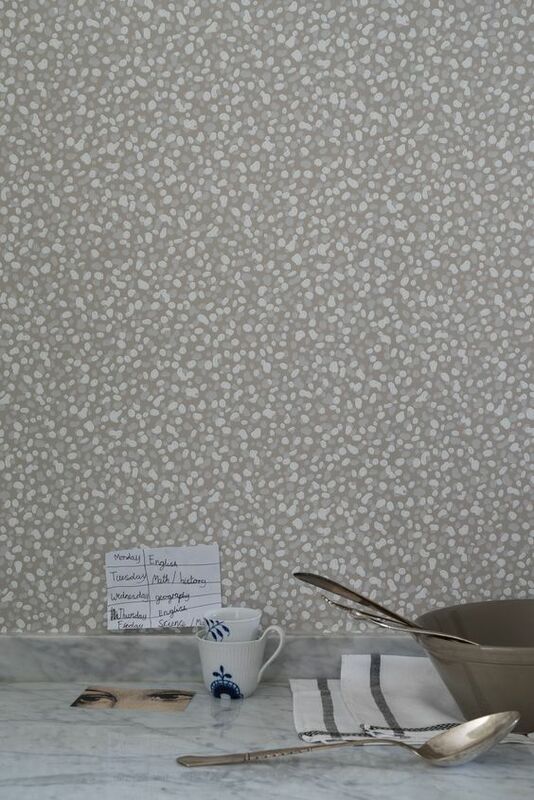 We want a grey traditional kitchen with “stained” wallpaper on the walls, I have my eye on Farrow&Ball’s Blostma. 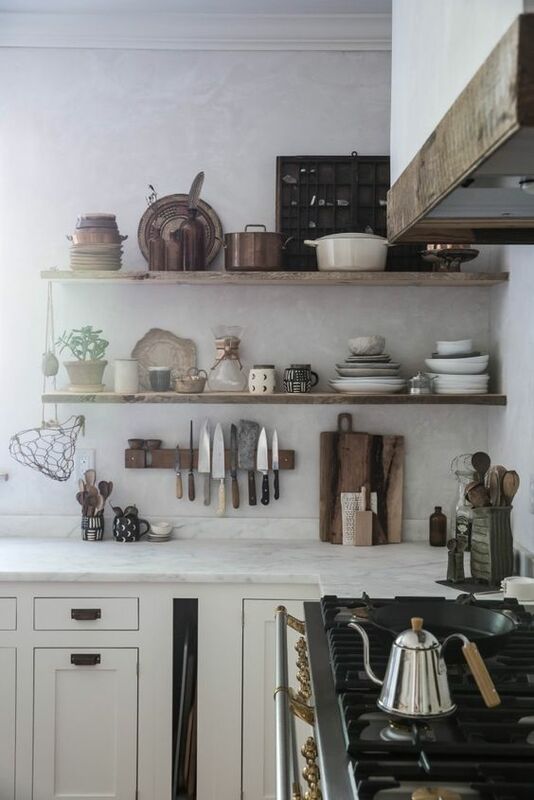 My dream is a laid back kitchen that oozes relaxation. Here are some of my all time favorites and the ambience we’re going for.